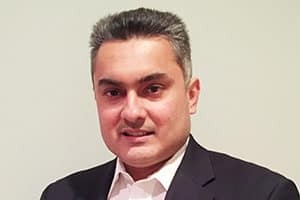 Naren Nayak is a Capital Markets and Securitization professional with over 20 years of experience in diverse industries including Investment Banking, Mortgages, Specialty Finance and Power & Gas. Naren’s professional focus has been to develop creative financing solutions for a range of asset classes from unsecured consumer loans, mortgages, student loans, power plants & natural gas pipelines to several other esoteric asset classes. He was most recently the Head of Capital Markets for a fintech online consumer lender. Prior to that he was pricing and securitizing agency mortgages for Freddie Mac. Prior to Freddie Mac, he was on Morgan Stanley’s and Barclays’ Securitized Products desks where he was originating and structuring transaction in the Asset-backed Securities markets. Earlier in his career Naren also led the team that structured securitization transactions for the student lender, Sallie Mae. Naren received an M.B.A. from the University of Virginia’s Darden Graduate School of Business, Charlottesville, VA and holds a B.E. in Mechanical Engineering from the National Institute of Technology, India.